If you start experiencing pain, fatigue or other uncomfortable health issues as a child, it can be difficult to communicate this with the adults around you – especially if your symptoms are “invisible” and doctors can’t pinpoint any problems. At this age, you’re still getting used to your ever-changing body, and don’t have many points of reference as to what is “normal.” Although you might feel different than the other kids, it may not always be obvious (to you or those around you) that you are showing early signs of a chronic health condition. It may take years of experiencing strange and constant symptoms before you start questioning whether there’s something more going on. 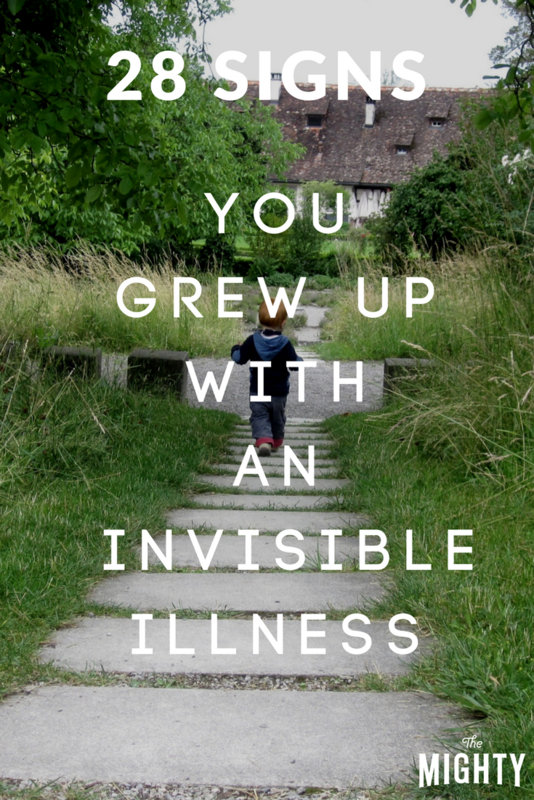 Even if you haven’t been officially diagnosed, the health struggles you’ve had in adulthood might cause you to look back on your childhood and realize your journey with chronic illness goes back further than you thought. We asked our Mighty community to share some of the signs that they grew up with an invisible illness, which they now recognize in retrospect. Perhaps some of these signs will remind you of moments from your own childhood.